Russian President Vladimir Putin has said that the current low oil prices are “no tragedy” for the Russian budget, stressing that they may soon see an upward correction. Speaking at a press briefing following talks with Ukrainian President Petro Poroshenko in Milan on Friday, Putin said the current price of US$80 per barrel is not profitable for producers and should rise in the near future. The Russian state budget is drafted based on the price of $96 per barrel, he added. 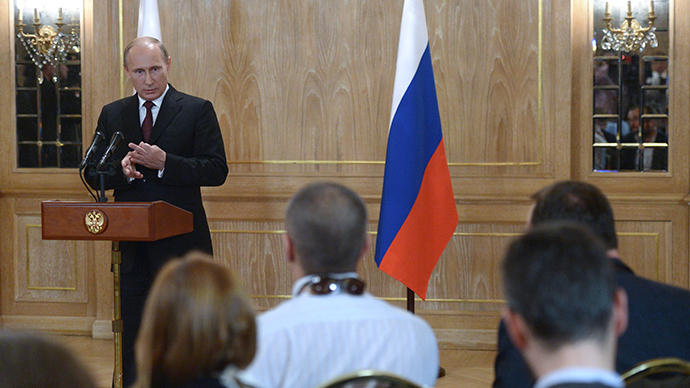 Putin also reassured that that there will be no sharp rise in Russia’s budget deficit. He did, however, state that some corrections to the budget may be made, but that welfare spending won't be affected. “Maybe we’ll have to correct something in the budget. Maybe cut down some items but it surely won’t be connected with cutting social expenditures,” he said. According to the president, Russia is able to make those corrections without any significant losses taking place.